It is hard to believe that this translated slogan has been used in China to promote the famous cola. 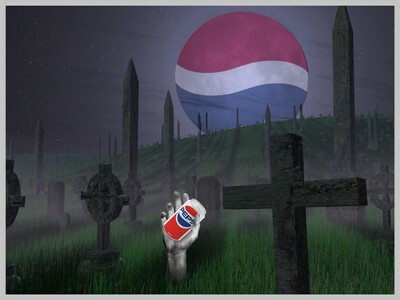 The soda selling giant translated the original slogan “Pepsi brings you back to life” into Mandarin meaning “Pepsi brings your ancestors back from the grave”. Surprisingly, this is not an isolate case. Numerous world-famous companies failed to transpose accurately their original slogans into other languages, risking offended consumers and low sales figures. The potential of going global with a brand has never been as attractive as it is now: establishing an international customer base, favourable economic conditions in other countries, competitive cost of goods and so on. Companies enter the international market in the hope of successfully selling their products worldwide and aim at achieving the above listed advantages of expanding overseas. When companies decide to do so, their success depends on how well their product is received by customers in each market. This means that advertising campaigns need to be reviewed, adapted if necessary and translated. Nevertheless, preparing international marketing campaigns is not as easy as literally translating from one language to the other. It is important to consider cultural values, norms, rules of conduct, humor and slang when promoting a product abroad. This is especially the case for slogans that represent the corporate identity of a brand. The objective of a slogan is to differentiate a product or brand from other competitors in a positive way. Unfortunately not all companies take this into account. A failing international marketing slogan can be traced back to mistranslation, lack of cultural understanding or even intentional translation errors to catch the customers´ attention. Here is a compilation of the 10 funniest marketing translation blunders. They are classic examples of how failed translation can be crucial to a brand’s reputation. “The Jolly Green Giant” for Green Giant in Arabic directly translates to “Intimidating Green Ogre” (Source: White M. (2009) “A short course in international marketing blunders” Marketing mistakes made by companies that should have known better. World Trade Press). Braniff International Airways´ slogan Fly in leather came out as “Fly naked” Spanish (“Vuela en cuero”). (Source: Brady, D. (2011)”Essentials of international Marketing” ME Sharpe). In Italy a campaign for Schweppes Tonic water translated the drink´s name into “Schweppes Toilet Water.” (Source: Haig M. (2004)”Brand Failures: The Truth about the 100 biggest branding mistakes of all time” Kogan Page Limited). Pepsodent promoted its toothpaste in a distinct area in Southeast Asia by highlighting that it “whitens your teeth.” This campaign entirely failed because the locals chew betel nuts to blacken their teeth as it is considered attractive.  (Source: Verderber K. and R., Sellnow D. (2012) “Communicate“). The Brewing Company Coors translated its slogan “Turn it loose” into “Suffer from diarrhea” in Spanish. (Source: Haig M. (2004)”Brand Failures: The Truth about the 100 biggest branding mistakes of all time” Kogan Page Limited). An American T-shirt designer printed shirts for the Spanish market to promot the visit of the Pope. Instead of “I saw the Pope” (el Papa), the shirts read “I saw the potato” (la papa). (Source: Ardagh P., (2009) “Howlers, Blunders and Random Mistakery”). All of these marketing blunders are examples of how even the smallest translation error can have a great effect on a brand´s success overseas. Translation mistakes like these can be prevented by avoiding literal translation, checking pronunciation in other languages and researching the country´s cultural norms and values. What about you? Have you come across any other marketing blunder?